Brittney Bourgeois has found a way to optimize her achievements as a speech-language pathologist who works with special needs children, and it’s rooted in a valuable relationship with her staffing company. 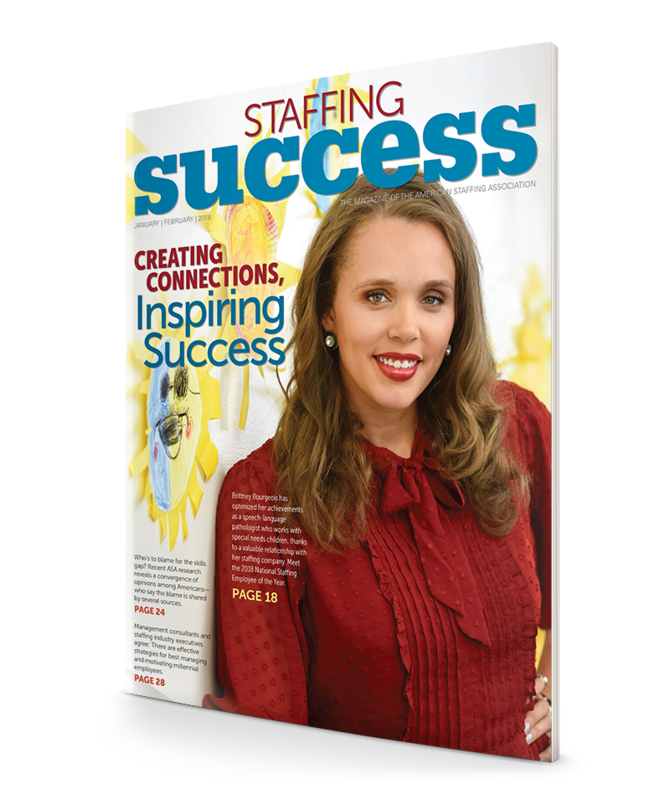 Meet the 2018 National Staffing Employee of the Year. Bourgeois says she’s honored and grateful for the recognition she has received as the 2018 National Staffing Employee of the Year, especially because it shines a spotlight on the critical role speech-language pathologists have in the lives of children with communication challenges. but with a little twist.” The same could be said of Bourgeois’ career path, and it also helps explain why she chose to work with a staffing company.